In this article we will give advice about the installation of home WiFi antennas, as well as the comparison and review of the best powerful WiFi USB antennas of the year 2017. To find the best long range WiFi antenna for sale in 2017 we will review the most valued by customers. The WiFi connection needs have evolved remarkably. 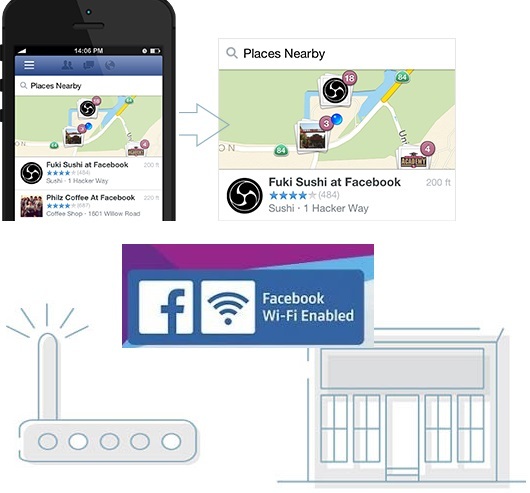 Now there are many users who share the WiFi of a neighbor or who need to connect to the free WiFi of a town hall or a bar. For this reason, the demand for long-range WiFi antennas has replaced conventional WiFi adapters. 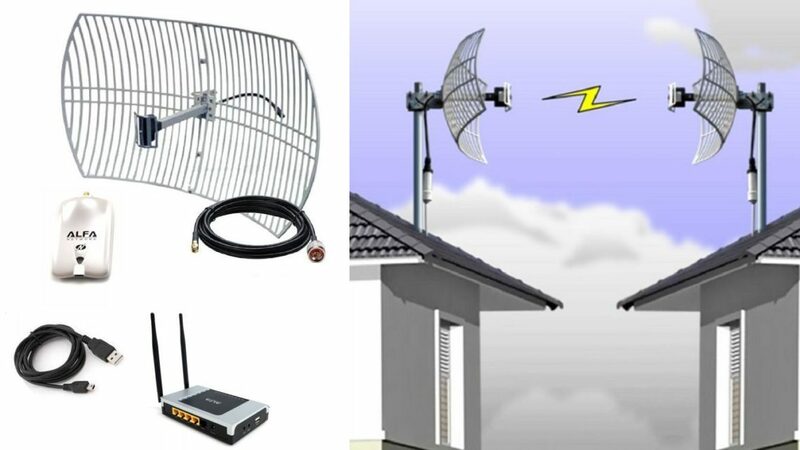 With the prices and the quality of these antennas, it is no longer necessary to manufacture homemade WiFi antennas, although sometimes it is necessary to connect a powerful WiFi antenna to a router or make a custom installation for our house. Do you want to connect to an open network of free WiFi from the City Council? Or if you also want to know How to share the WiFi of my neighbor or the office that I have in front of the house? In this guide to buy WiFi products you have all the answers. To describe the best WiFi products you can buy according to your needs we have made three sections in this WiFi guide to advise on which antenna and WiFi router to buy for each different need when sharing internet with WiFi networks. 2. Comparison of the best WiFi antennas for sale for long range. 2.1 Melon N80. Antenna WIFI USB chip RT3070 for PC or laptop Windows 10 compatible. 3. Add a router to a long-range WiFi antenna. 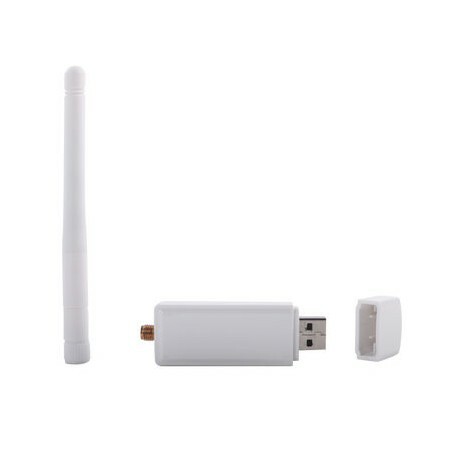 Depending on the distance: In short distances and to connect to WiFi networks that we do not know their exact location, we recommend the use of USB WiFi adapters with Omni-directional antenna such as the Alfa Network. If we want a WiFi connection at a distance we must know the exact address in which the WiFi network is located and install a directional or directional WiFi antenna. For more distance, up to 1 km are the panel antennas like the Melon N4000 36dbi. Between 1 and 10 km parabolic or Yagi antennas are recommended. There are no special WiFi antennas to cross the walls and barriers. In general, point-to-point direct vision for a WiFi connection is always recommended. The light walls can be crossed, but the metal barriers and the large buildings will never be crossed by the WiFi signal with quality. High gain of WiFi / High Gain antennas: The gain is a meter of the sensitivity of the WiFi antenna. The more more sensitive the gain is and the better it can receive long-distance WiFi waves. Gain is measured in dBi. Decibels of gain are a logarithmic relationship between the emission power of an antenna, the directivity of the antenna, and the intensity of the radiation emitted. The gain depends a lot on the size and shape of the antenna. The larger and flat antennas receive the signal further away. For extreme connections of several kilometers grid-type parabolic antennas with an approximate width of 1 meter are used. An example is the Alfa AGA2424T of 24dbi and 1 meter from side to side. High Power Antennas: The WiFi power can be measured in mW or dBm. The powerful WiFi antennas are between 1w (100mW) and 2W (200mW). It is also very important that the WiFi router as a transmitter has a powerful antenna. 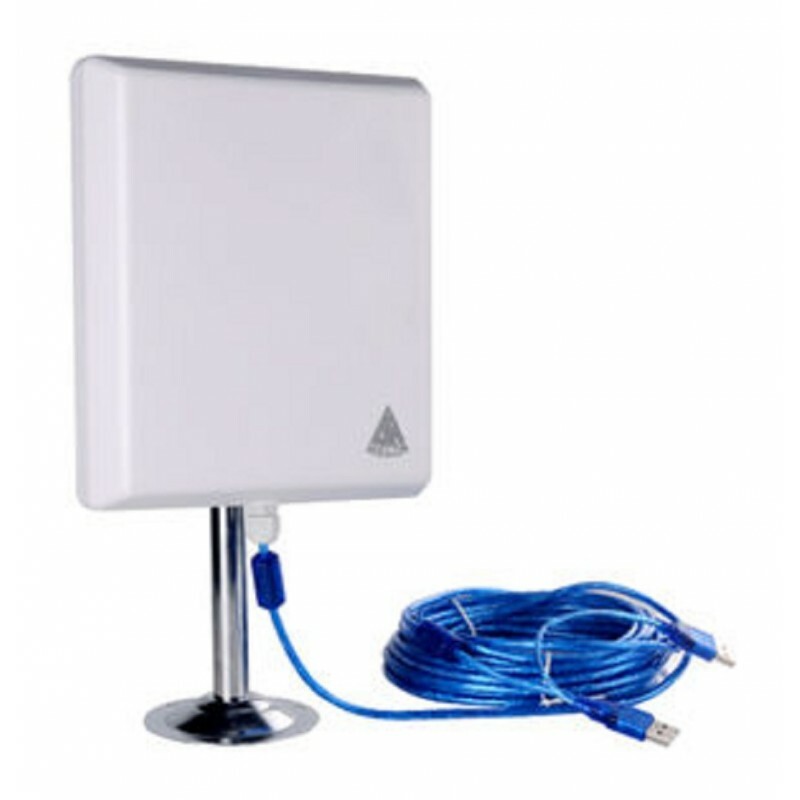 If you want to broadcast WiFi from your office to your house in front, it is not enough to use a high power antenna as a receiving antenna, you also need the router to send a directional antenna to the house. For this case, if the router has a detachable antenna with a SMA type screw, you can change the antenna of the router with one of these directional antennas. Below is a comparison of prices and the most outstanding features of powerful WiFi antennas, with a good price-quality ratio, ordered from lowest to highest range. The Melon N80 High Power WIFI Adapter has an RT3070 chip. It is an Omnidirectional WIFI receiver antenna for long distance audits and connections. Melon N80 version 3070 works with all PCs, computers and laptops including Windows 10. High transmission speed and long range. The standard antenna of this receiver is 6dbi. It is a very practical omnidirectional rod antenna for exploring Wi-Fi networks at an angle of 3601. The antenna connection is SMA type, therefore the antenna is replaceable by any other gain with SMA connection. It is a powerful indoor WiFi antenna. Inside receives the signal of WiFi networks that are between 100 and 300 meters. It can be used outdoors by attaching an external antenna to the SMA connection. With the chip Ralink RT3070 reaches a download speed of 150Mbps. 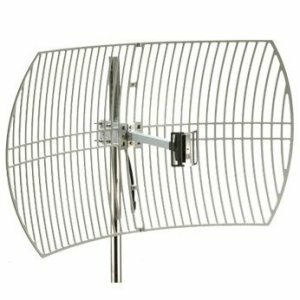 WIFI antenna for long range. It stands out for its 200mW of power and a gain of 36dbi, in addition the new chip Mediatek Ralink RT3070 allows a download speed of up to 150Mbps thanks to the chip with PCBA system board with 4 layers PCB to give more stability to long distance WiFi connection . It reaches without problems distances between 300 meters and 2km. This antenna 36dbi panel for long range compatible with all versions of Windows (XP, Vista, 7, 8, 8.1 and Windows 10). 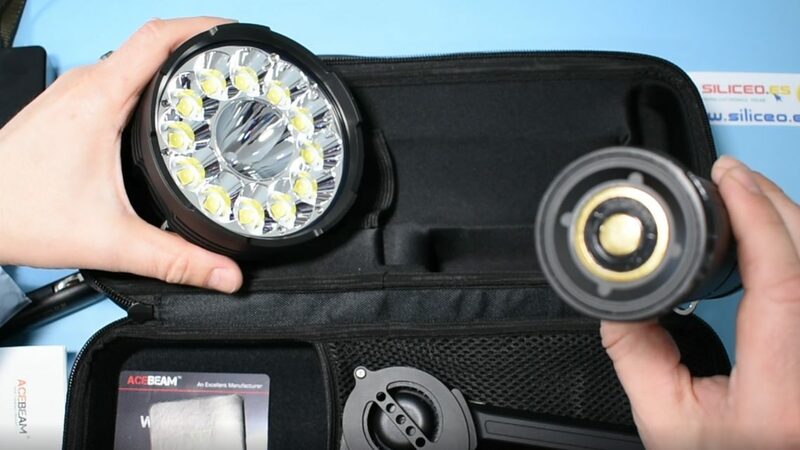 The package includes a mounting bracket with screws for wall or table, with hinged and swivel ball that allows a perfect orientation. It also has metal flange to anchor to fixed post. By using it, many distant networks are discovered. It is normal to see in the network manager of the computer up to more than 40 or 50 WiFi networks available with more than 3 coverage lines. As it is a directional antenna you will see all the networks located in front of the antenna even at long distance. The new powerful USB WIFI Adapter AWUS052NH worked with double band up to 300Mbps. With 802.11n MIMO technology it can offer download speeds of 300Mbps. The cable has two USB 2.0 connections to give it more power. With two omnidirectional antennas of 5dbi Alfa Network dual band with threaded connection of type of removable RP-SMA antenna that allows to change the antennas. AWUS052NH includes an Alfa WiFi scanner utility to search the networks available in the Windows system and saves the preferred networks and access passwords of the networks to which users have previously connected. – SoftAP to create a WiFi emitter with the Windows system of any computer. Currently the best WiFi adapter with USB 3.0 from Alfa Network. With the new chip Realtek RTL8812AU works on Linux with all wifi audit systems. Compatible with all USB 3.0 and 2.0 ports. 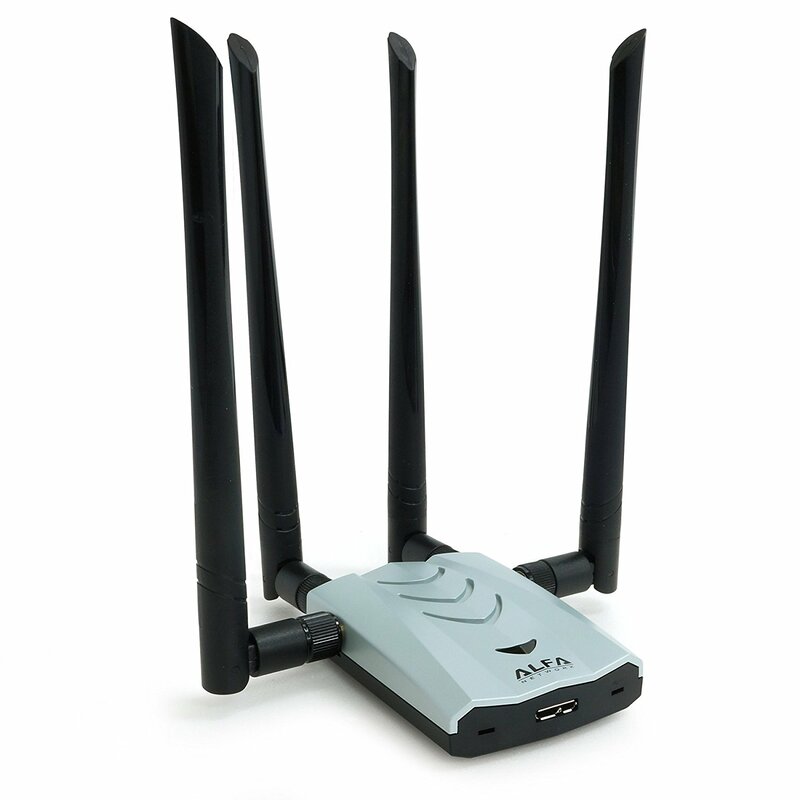 The ALFA AWUS036ACH wifi adapter is a powerful tool that allows a fast connection, with great power and stable. The AWUS036ACH model has the advantage of working also in the 5GHz band for a more stable signal and higher speed. Includes a support that allows you to find the best location for your WiFi adapter. 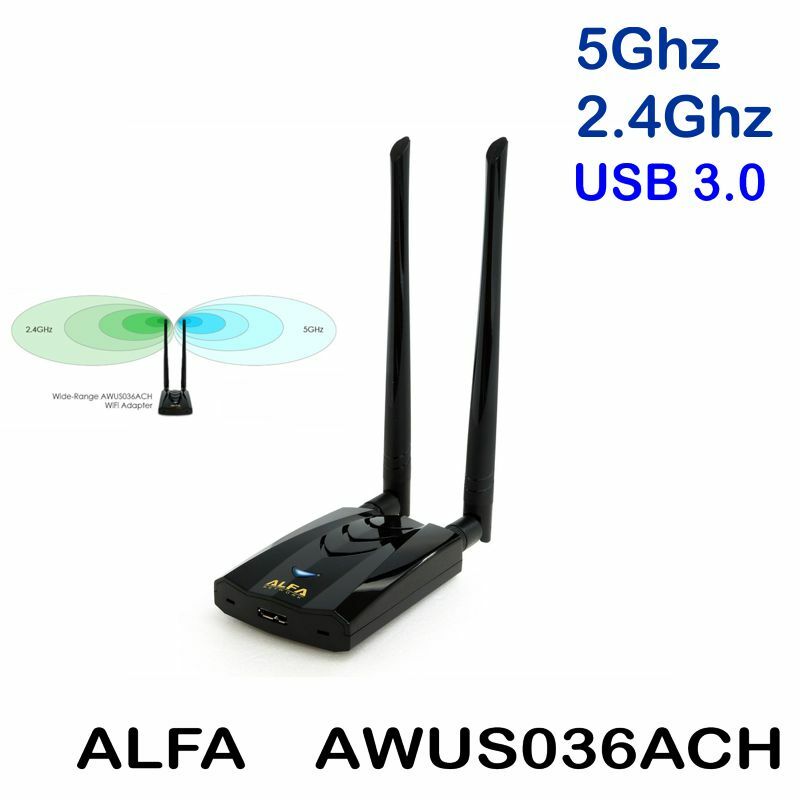 The Alfa AWUS036ACH dual band wired USB 3.0 WIFI AC 2.4 and 5 Ghz works with all Linux and Windows, including Widows 10 and later. Prepared to work with all MACOSX 10.4 and later. Alfa Network is the most famous manufacturer of WiFi connectivity devices of quality, so with this WiFi antenna for indoor only positive aspects stand out. The double band of 2.4 Ghz and 5ghz assures you that it is compatible with all the old and modern routers and thus you will not have compatibility problems in the future. Currently most wireless devices are still working with the first classic 2.4 Ghz band, but this model works seamlessly with the two WiFi frequency bands. When it works with the 2.4 GHz band it reaches a maximum download speed of 300 Mbit / s, while in 5 GHz it can give up to 867 Mbit / s. The gain of its two 5dbi antennas is ideal for indoor connections with maximum stability. The antennas are SMA type and therefore can be replaced. It is a kit composed of satellite dish Alfa 24dBi antenna and the high power USB adapter with 3m antenna cable. It serves to mount the antenna on a mast in the window or roof. The powerful USB WiFi adapter Alfa Network AWUS036NEH connects directly to a computer. It is a professional WiFi installation system that allows connections up to 9km or 10 km provided there is direct point-to-point vision. The WiFi chip of the AWUS036NEH is the famous RT3070 that is compatible with Linux and Linux versions such as Beini Wifislax or Kali Linux. 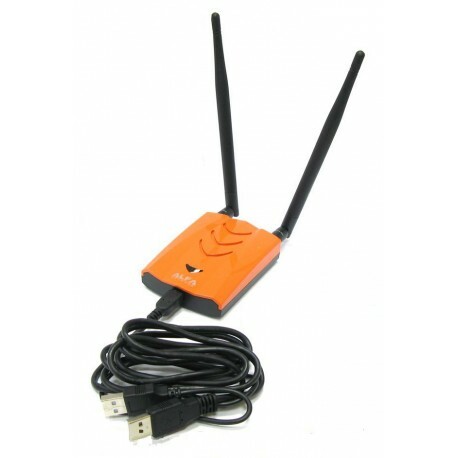 It is also compatible with Windows up to Windows 10 and also has a software for AP access point that allows you to convert the antenna into a WiFi AP transmitter from any Windows computer. How can this Alfa WiFi parabolic kit be used? 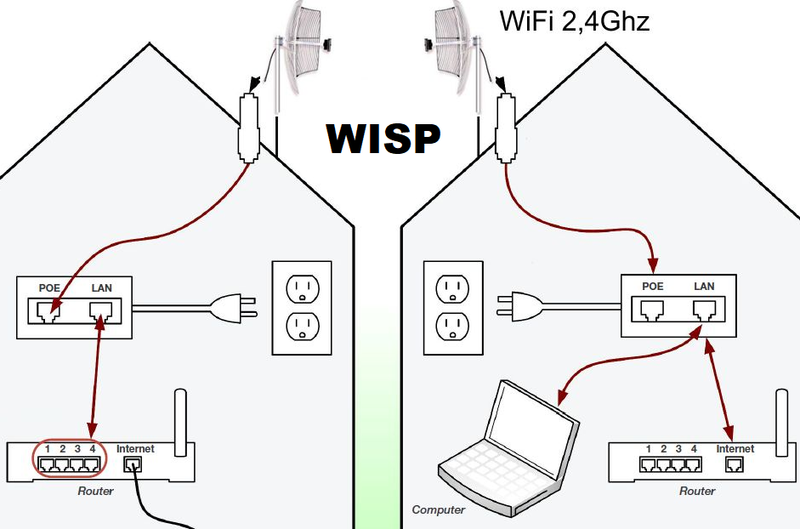 To connect to a WiFi network whose address is known up to a distance of 6 to 10 km or to establish a very stable WiFi connection from point to point using two of these facing antennas. Coaxial cable of 3 meters to adapt the antenna to the USB WiFi adapter. For longer cable length you can use a USB extension cable that has no signal loss. Outstanding features: long range, resistant to external conditions, 2.4GHz and 2.483GHz frequency, IEEE 802.11b standard, 802.11g, 802.11n WiFi LAN, 24dbi Directional. 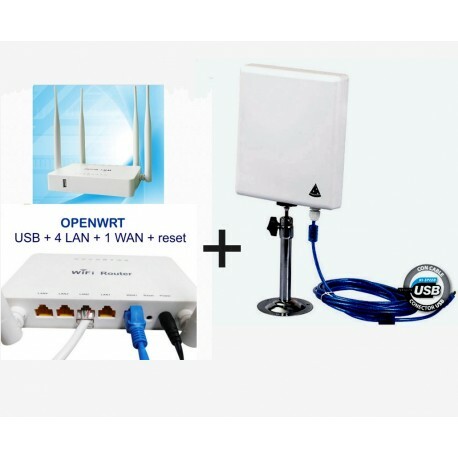 The idea of ​​this powerful WiFi antenna kit coupled to a WiFi repeater router arises from the need of many customers to repeat the WiFi signal they pick up remotely in order to connect all the devices in the house. The installation is simple first the WiFi antenna N519 is oriented towards the network that we are going to link and connects to the router via USB. Then from the router’s configuration page, the networks are scanned and the Wi-Fi key of the network is configured. 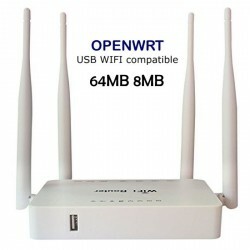 This OpenWrt SILICEO router is the only one that carries drivers for all the powerful WiiFi antennas chip. The router saves the configuration even if it is switched off, it will always connect to the WiFi network that we have configured. This special router can receive WiFi signal via USB and repeat it via WiFi and 4 LAN outputs. 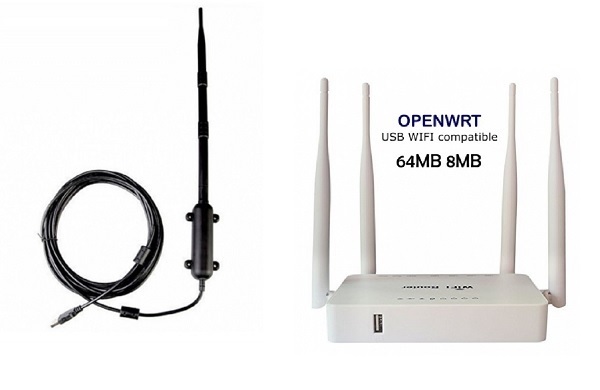 The set of the Kit consists of 1 router Openwrt USB ROUTER USB firmware with drivers for antennas wifi USB + antenna for USB long range 36dbi Melon Panel N519. The router stands out for its USB port prepared to install any WIFi antenna by USB, to then repeat the internet for the whole environment, by cable and by the router’s own WIFI network. 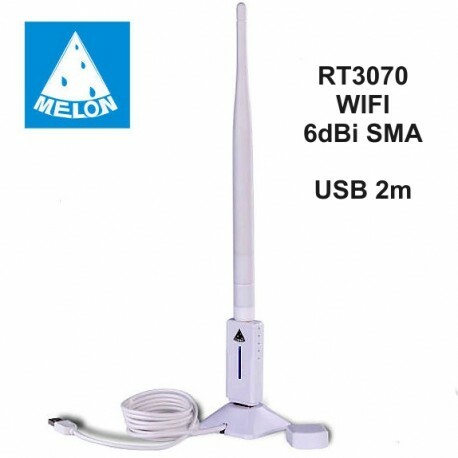 ADMIT ALL ANTENNAS WIFI BY USB RALINK RT3070 AND REALTEK RTL8187 compatible, Repeat internet for free wifi. When we already have a powerful WiFi antenna installed, then we can add a compatible router. The necessary router is the Openwrt SILICEO Router. In this link you can read a complete manual of the router installation to USB WiFi antenna. To conclude, we recommend that you make responsible use of these powerful and long-range WIFI antennas. Use them to always connect to networks that know free WIFI or that you know you can use because they are public or that have given you access. All devices and software to steal the WiFi from the neighbor by doing WIFI audits, security tests, experiments or playing WIFI hacker are free to use, but as you know, entering without authorization in a WIFI network is something that nowadays It is illegal (not allowed). Do you simply want to steal it or do you prefer to borrow a neighbor’s WiFi? 😀 You already know! Although these antennas are very powerful do not ever use them to steal the wifi from your neighbor, it is illegal and unsafe. In another post we talked about how to increase the security of the router and thus prevent removing the WIFI key from the WEP or WPA WPA2 router. Preventing hackers from entering your WIFI network without permission is also very easy to configure in most of the routers.